Guido believes that overall knowledge, blended with excellent service, is the foundation for a successful business relationship. 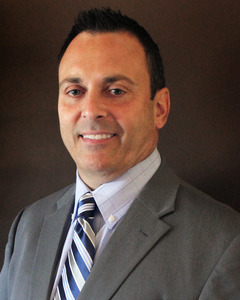 As a previous mortgage lender with 25 years experience, Guido brings a wealth of knowledge to his clients and their transactions by knowing all the ins and outs of the home buying experience. Guido is an experienced agent and former member of a top producing @properties team. Guido has recently formed a partnership with Alexa Hara, another top producing real estate broker, they both specializing in Chicago luxury homes. Guido has built his reputation on providing outstanding service and results for his clients. Guido's referrals, past clients and real estate professionals have had their expectations exceeded with his personal service and expertise in the business. Guido was born and raised in the south suburbs of Chicago. He graduated from Northern Illinois University with a Bachelor's of Science in Finance. Upon graduation he launched his career in Washington D.C. where he spent 18 years as a Mortgage Banker specializing in new construction condominium financing. Guido later moved to Portland Oregon where he spent five years as a Mortgage Loan Officer for a credit union. While in Portland, Guido obtained an additional degree as a Network & Internet Security Specialist. Guido enjoys spending time with his family, friends, and two dogs. He routinely participates in community service activities and fundraisers throughout the community. When time allows, Guido likes to explore new restaurants and try new foods but he also takes pleasure in visiting his favorites. Whether you are looking to purchase a new home or sell your existing one, you can count on Guido to always look out for your best interests. He prides himself on constant and timely communication throughout the entire transaction from start to finish. You can feel confident that you will be satisfied with his professionalism, communication, and ability to get the job done.